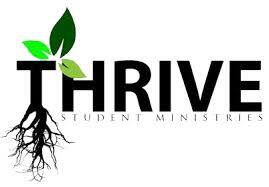 We are currently in need of a Youth leader to fill the now vacant spot. If you would be interested in volunteering for this position please contact Laura Stine (814-632-9451) or Pastor Aden (570-722-6198). This is a Bible study for male athletes in 4th through 7th grade. We meet in the Church Gym from 6-8 PM on the last Saturday of each month. The study will include speakers, Bible time, team building activities and a snack. To sign up or to receive more information please contact Terri Shultz at 684-5697 or terrodashrod@yahoo.com. 30 Hour Famine 30 Hour Famine was held on Friday and Saturday March 1 & 2 with 8 youth and 8 adults providing support throughout the two days. The youth participated in an archery lesson with Ken, and Frank. Pam shared communion with us. We invited the parents to a Break the Fast dinner of macaroni and cheese and turkey sandwiches. Our youth group went without food for 30 hours and raised $786.00. Thanks to all who supported us. Our community service project was going to the HUB and working on the school kits, the layette kits and the health kits. The youth and adults did a great job and Jo was very appreciative for the help. Check out the Events page for more Youth opportunities!